We hope you’re doing well! We’ve been busy tapping away at our keyboards and crafting some sweet new stuff for you all. So why don’t we get right down to it and show what’s happened since last time? Do you remember the prototype? There wasn’t that many things to craft and keep track of. 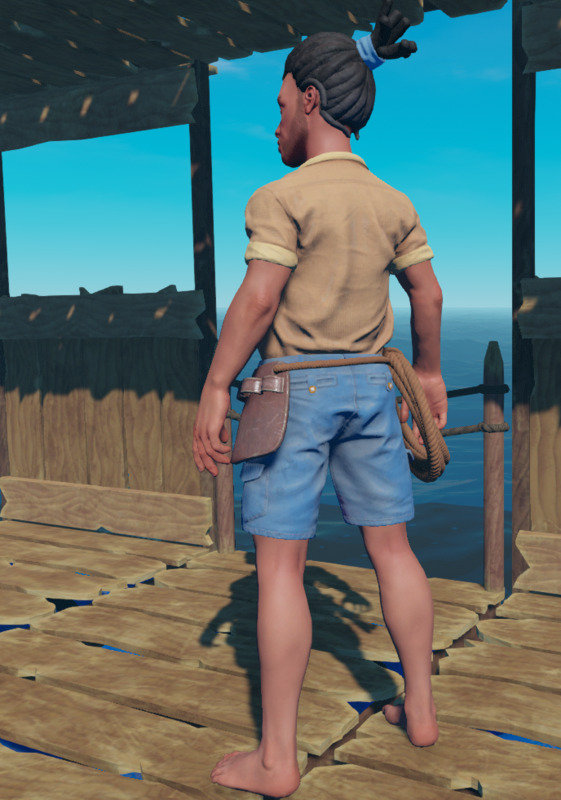 Well, as we’ve continued development, more and more items have been added to the crafting menu and we felt it would become a bit overwhelming for new players. Also, no aspiring survivor know everything from scratch. They try new things and learn how to make the best of the situation out in the wild. 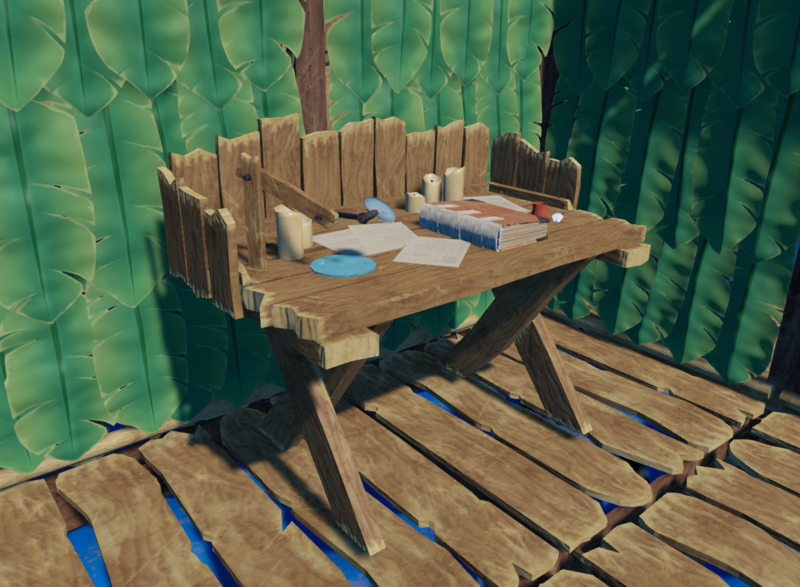 So, we added the research table in order to give new players a smoother learning curve, but also to provide some more mystery as to what is available to craft. From now on, you won’t know how to craft everything from the start. Instead, you have to research items to find out what new things you are able to craft with the materials you have. It is a very simple and fast process, because we don’t want the players to feel it’s an annoying struggle or matter of luck learning new items. We have started working on implementing functionality to allow for different languages in the game. Many of you have been asking if there will be any other languages than English and we’re happy to say it’s looking good. We are still in the stage of converting all the pieces of text to localizable text and we’re currently just translating it to Swedish to make sure it works. We can’t say exactly which languages we will support yet, but we will do our best to incorporate as many as possible. 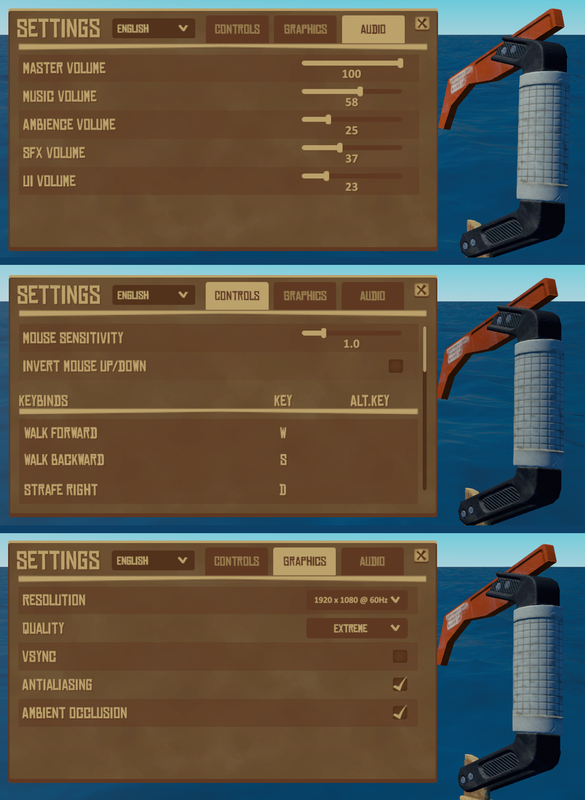 Our programmer have been starting to implement a bunch of settings to allow you to customize your experience. We’ve added the possibility to change the overall graphic setting, resolution, ambient occlusion and anti-aliasing. Functionality has also been added to remap all keys to your liking. We will continue to add more graphic settings to create a custom graphics profile, including, but not limited to, things like shadow and texture quality. We’re working hard to allow as many people as possible to run Raft smoothly. 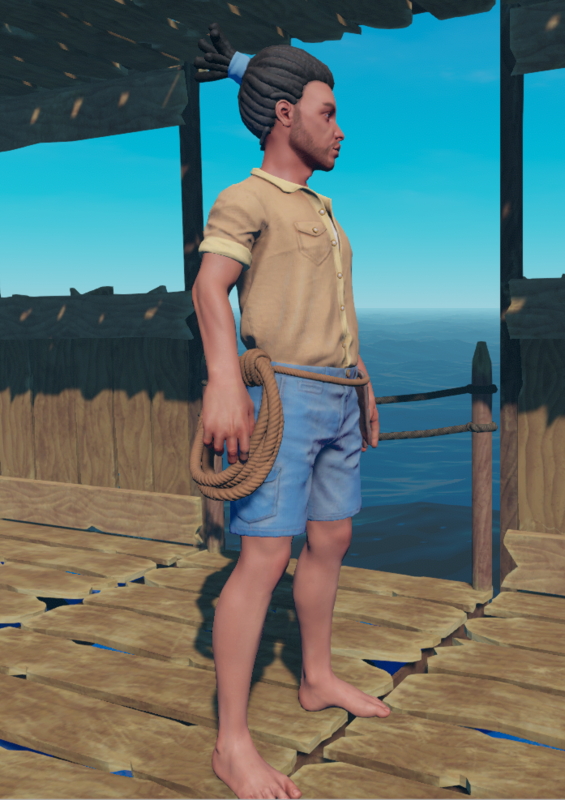 Last but not least, the male character model is done! We heard your feedback and decided to change the shirt! We are very happy with how he turned out! What do you think? Well, that’s all for this time folks! We hope you have a good weekend and we’ll talk to you soon! Guys, really nice work ! Maybe if you add some condition weather, like rain, hot time, cold time, you can add some wear ? For girl do you work on a girl model ? Great job anyway ! A girl model has already been made. 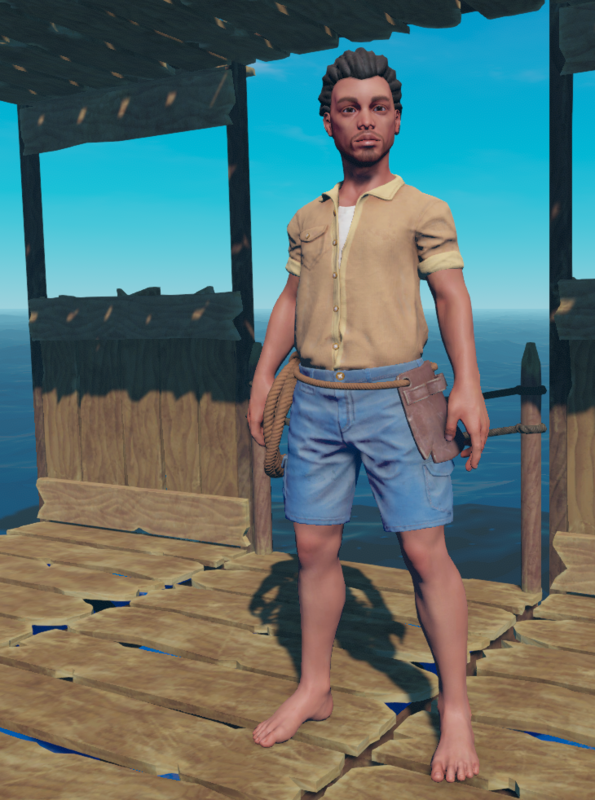 What if after release you started working on character customization? I also have knowledge in language file types (xml, strings, json) if this is necessary. I cannot wait until i get a PC that can support the game.I already know I will have a blast while playing ! P.S. if you ever need a Croatian translator I volounteer. why don’t you guys pay any attention to the steam forums!?!?!? Will there be any NPC’s that you can resue and they can help survive or give jobs or something? Guys! The game i AWASOME!!!!! I can hardly wait to get out Early Access !!!! Amazing work as always! I’m still following along and I’m kinda hoping for another prototype or something, but it’s whatever. with the research table I first thought “Oh yeah, you’re gonna use research points.” But you’ve added a unique and easy way to research. 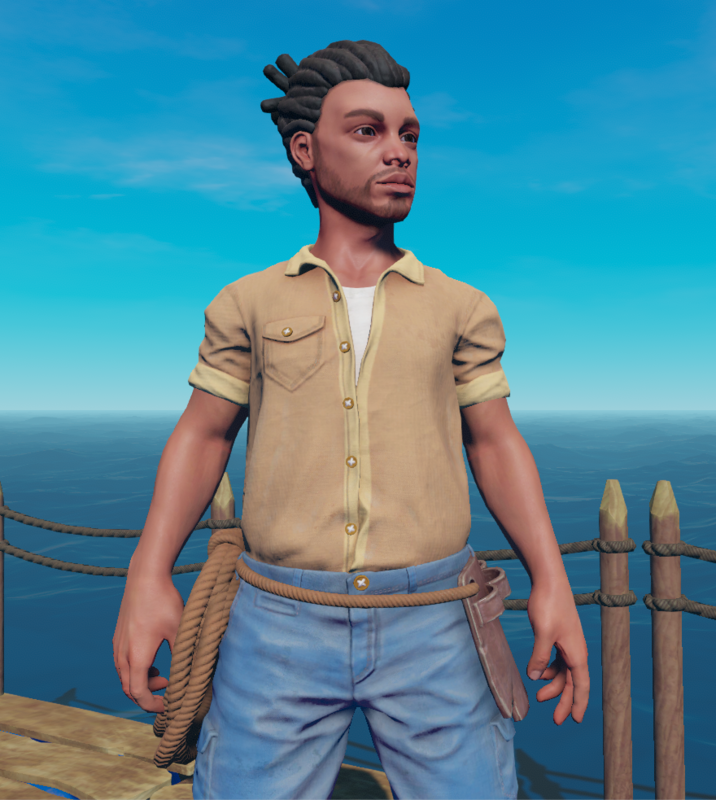 Amazing character model and more settings is great, keep it up! Looking forward to this game coming out. Played all the beta versions and thought they turned out great!